Art for the Cash Poor is a fabulous annual block party-style event that allows you the chance to show and sell your work directly to the public in a lively social atmosphere. 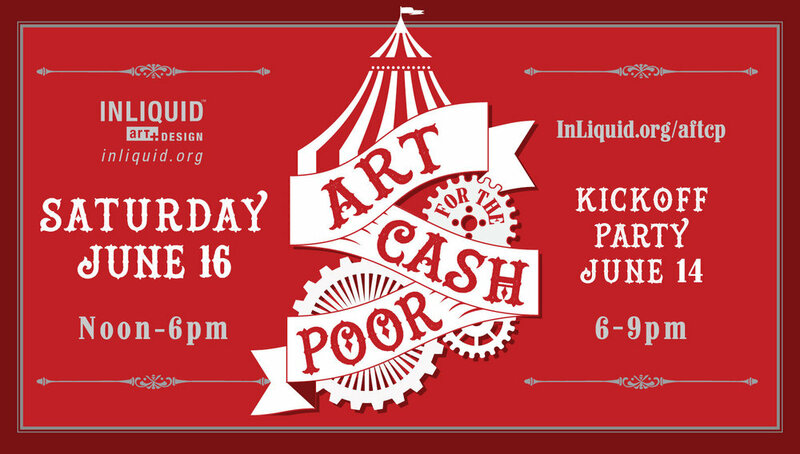 The 19th installment of InLiquid’s Signature Summer Event Art for the Cash Poor will be making a special move (this year only) to the Spring Arts District of Callowhill in partnership with Arts + Crafts Holdings for a one-day art festival outside-just behind Union Transfer. This year’s event will be a festive transformation to this evolving neighborhood. This outside block-party style art sale, that directly benefits visual artists and craftspeople, will feature multiple spaces along 10th Street from Buttonwood to Hamilton, activated by artists and local organizations. Art for the Cash Poor features artists, designers, and crafters who make and produce their own work. All work is to be sold for $199 and below. "Decorate & Adorn" Workshop @ The Art School at Old Church, Demarest, NJ.